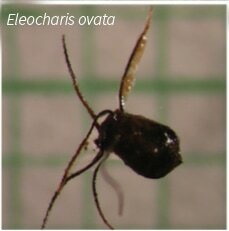 Research published in Science in 2008 has reshaped our understanding of the origin and evolution of Mid-Atlantic valley bottoms, prompting a reassessment of the science underpinning stream restoration practices in east coast states like Pennsylvania, Maryland & Virginia. This website presents ongoing results of a novel, multi-year valley bottom restoration experiment that tests the efficacy and efficiency of this design for improving aquatic and riparian habitats, ecosystem services and functions, water quality, nutrient and sediment load reductions, and stormwater retention, among other objectives. In 2002 , two of the project’s scientists, Drs. Robert Walter and Dorothy Merritts, identified the incised nature of modern streams found throughout the mid-Atlantic region as the product of ubiquitous mill damming activity throughout the 18th-19th centuries. The research team determined that reservoirs upstream of tens of thousands of milldams, built one after the other as uplands were cleared and converted to farmland, had filled with fine sediment by the late 19th century. ​As water-powered milling became obsolete, milldams fell into disrepair and began to fail during storms. Others were breached intentionally because low-head dams are safety hazards, barriers to fish passage, and causes of water quality impairment. tributary streams in the mid-Atlantic. The team determined that many of the valley bottoms, now filled with up to 20 feet of millpond mud formerly consisted of extensive anastomosing channel and wetland landscapes. 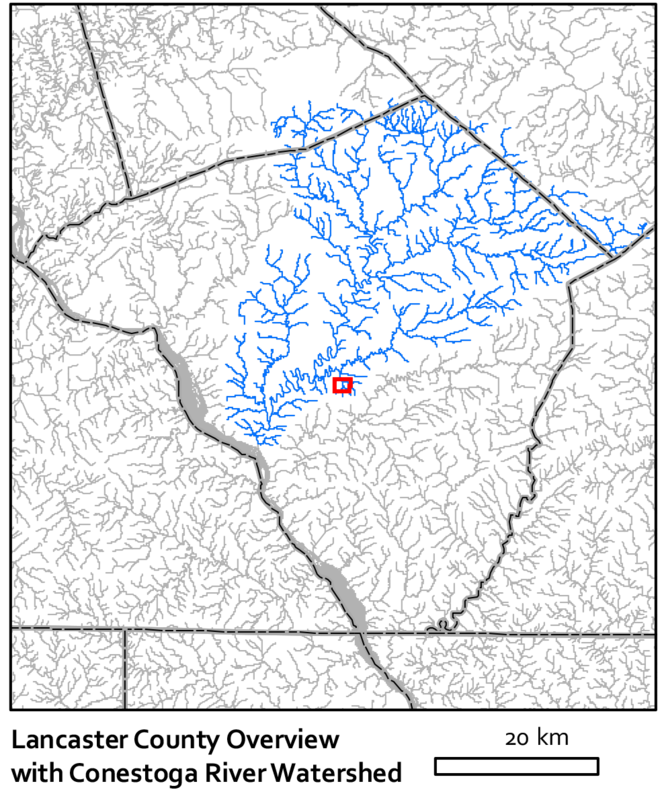 Evidence of these original wetland landscapes is pronounced and widespread in the mid-Atlantic region, including at the Big Spring Run (BSR) restoration site. Remnants of the natural valley bottom aquatic ecosystem are found as dark, organic-rich hydric soils buried beneath historic millpond sediment, the latter of which typically is light brown to red-brown in this region. 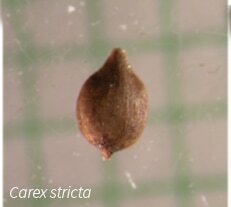 The wetland soils, often rich in obligate wetland plant seeds and other organic matter, are preserved in many places as they were buried almost instantaneously behind milldams. 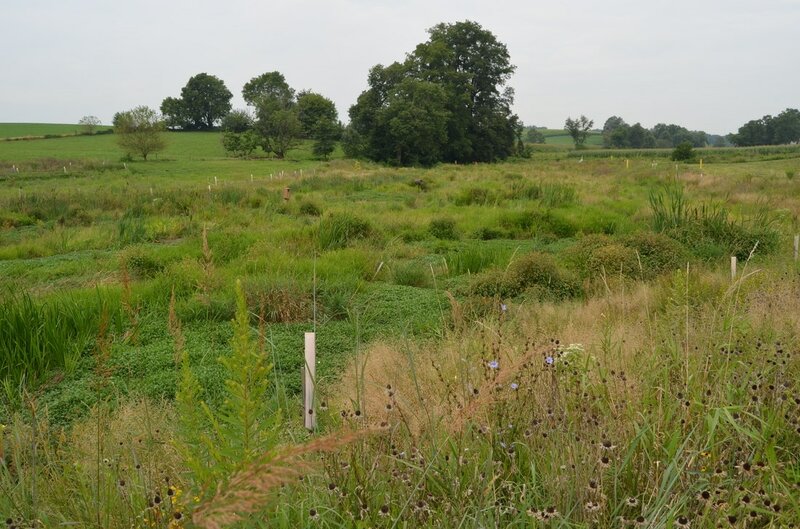 These interpretations a fundamental change in our understanding of how valley bottoms formed and evolved, catalyzing a new approach to aquatic resource restoration implemented at Big Spring Run (BSR) in Lancaster County, Pennsylvania. A section of the BSR headwaters was selected to test this new restoration design after the landowner sought an alternative approach to mitigate the high rates of stream bank erosion on his property when conventional techniques had produced limited results. Thousands of trees had been planted in the riparian zone in an attempt to establish a forested riparian bugger, but most had died - failing to resolve the recurring issue of bank erosion. The landowner contacted a local environmental engineering firm, Landstudies Inc., for advice on alternative management options. In addition to the efforts of the landowner, the U.S. Geological Survey had been collecting data at two gage stations within the BSR watershed, with one immediately downstream of what would become the restoration site. This established baseline information for the site, including stream flow and sediment loads. 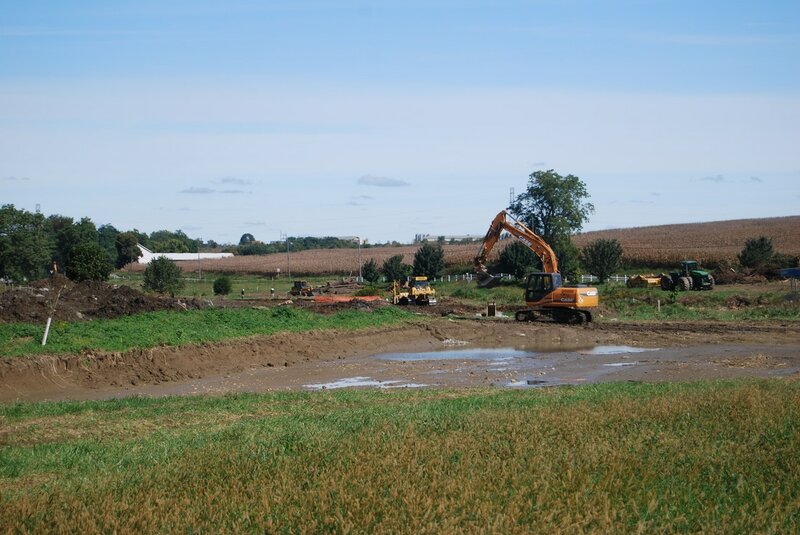 The Pennsylvania Department of Environmental Protection (PA DEP) supported the use of the site to test a new approach to natural aquatic ecosystem restoration. A team of designers and construction supervisors at Landstudies provided the expertise to execute restoration at BSR, which began in 2011. The historic millpond sediment, dubbed "legacy sediment," was removed from about 1.5 km of valley bottom along the BSR valley bottom, giving the original ecosystem a chance to re-emerge. Today a thriving wetland ecosystem is home to a wide variety of native plant species and wildlife. Ongoing monitoring at BSR indicates that the restored area experiences little to no erosion and traps small amounts of fine sediment delivered from upper, unrestored tributaries.